Toshiko Shek, recently relocated to Los Angeles from the San Francisco Bay Area, created her blog it's not her, it's me. five years ago to document her personal style. Her blog is all about #OOTDs, fashion, lifestyle and travel. Toshiko specializes in creating different kinds of looks and imageries that are fresh and sleek while remaining neutral. 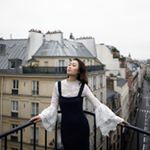 Currently, she is working as a freelance wardrobe and photo stylist, content creator, and photographer, Toshiko has been approached by various brands and companies for collaboration and is also working closely with various sites and social media platforms as a freelancer/contributor. Demographic data for @itsnotheritsme's audience is available for free to influence.co users.